Unless it was created by master builder Joerg Sprave, it's rare for a slingshot to be of any real interest. 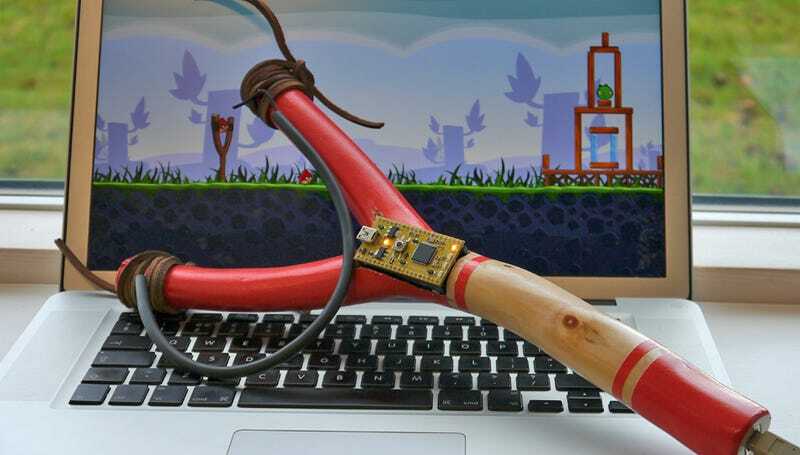 But even though we're pretty sick of hearing about Angry Birds, this slingshot controller for the game is kind of neat. It's built around an mbed microcontroller which translates the angle of the slingshot and the force on the elastic to mouse movements. So pinching on the sling and pulling it back is like clicking on the slingshot in the game and dragging your mouse's cursor back.